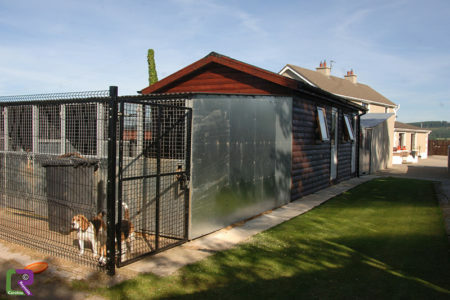 Our DARD licensed facilities offer modern heated kennels, all with covered runs and access to spacious exercise paddocks. 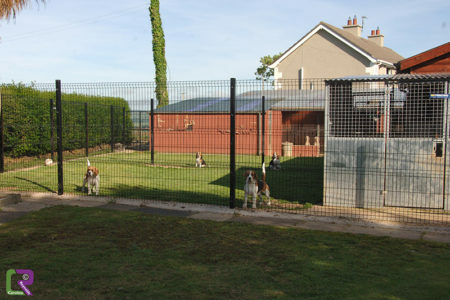 We have 3 acres and a 2 acre paddock that the dogs can run or be walked in. NEW FOR 2017 luxury new heated indoor block kitchens and total refurb on our exsisting blocks for 2017 season. A Grooming service and Pet Taxi is available if required. 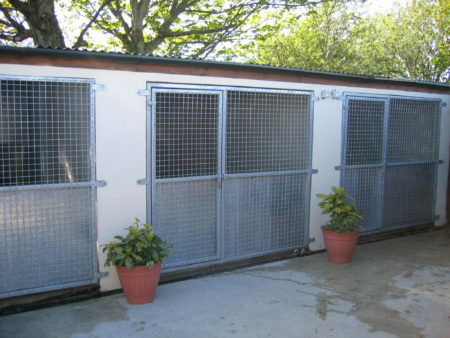 We have a wide selection of feeds available to suit most diets. Just let us know your requirements. Inspections are welcome by appointment. All dogs should be up to date with flea treatments.